249 people want to go here. 30 people have been here. The United Republic of Tanzania is a country in central East Africa bordered by Kenya and Uganda to the north, Rwanda, Burundi and the Democratic Republic of the Congo to the west, and Zambia, Malawi and Mozambique to the south. The country's eastern borders lie on the Indian Ocean. The United Republic of Tanzania is a unitary republic composed of 26 mikoa (regions). The current head of state is President Jakaya Mrisho Kikwete, elected in 2005. Kilimanjaro, with its three volcanic cones, Kibo, Mawenzi, and Shira, is an inactive stratovolcano in north-eastern Tanzania and the highest mountain in Africa at 5,895 metres or 19,341 feet above sea level (the Uhuru Peak / Kibo Peak). Mount Kilimanjaro is the highest freestanding mountain as well as the 4th most prominent mountain in the world, rising 5,882 metres or 19,298 feet from the base. The exact meaning and origin of the name Kilimanjaro is unknown. The Serengeti ecosystem is a geographical region located in north-western Tanzania and extends to south-western Kenya between latitudes 1 and 3 S and longitudes 34 and 36 E. It spans some 30,000 km (12,000 sq mi). The Serengeti hosts the largest and longest migration in the world, which is one of the ten natural travel wonders of the world. 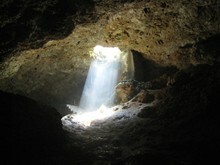 The region contains several national parks and game reserves. 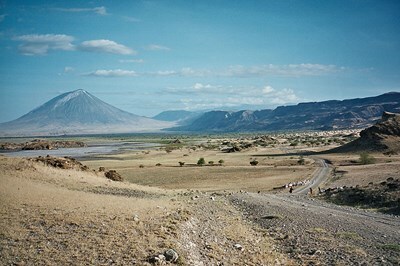 The Ngorongoro Crater is the world's largest inactive, intact, and unfilled volcanic caldera. The crater, which formed when a large volcano exploded and collapsed on itself two to three million years ago, is 610 metres (2,000 feet) deep and its floor covers 260 square kilometres (100 square miles). Estimates of the height of the original volcano range from 4,500 to 5,800 metres (14,800 to 19,000 feet) high. The elevation of the crater floor is 1,800 metres (5,900 feet) above sea level. Dar es Salaam, formerly Mzizima, is the largest city in Tanzania. It is also the country's richest city and a regionally important economic centre. Dar es Salaam is actually an administrative province within Tanzania, and consists of three local government areas or administrative districts: Kinondoni to the north, Ilala in the centre of the region, and Temeke to the south. The Dar es Salaam Region had a population of 2,497,940 as of the official 2002 census. The Ngorongoro Conservation Area (NCA) is a conservation area and a UNESCO World Heritage Site located 180 km (110 mi) west of Arusha in the Crater Highlands area of Tanzania. 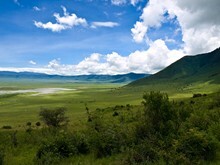 Ngorongoro Crater, a large volcanic caldera within the area, is recognized by one private organization as one of the seven natural wonders of Africa. Eight kilometers north of the town of Tanga resides a spelunking fertility god who will grant you virility and or a fecund womb in return for offerings – or so tells local wisdom. If you’re not in the market for alternative family planning, the Amboni caves, the home of said diety and most extensive limestone cave system in East Africa may still be of interest to you." Aside from herds of zebra, gazelle, and wildebeest, the crater is home to the "big five" of rhinoceros, lion, leopard, elephant, and buffalo. The crater plays host to almost every individual species of wildlife in East Africa, with an estimated 25,000 animals within the crater."